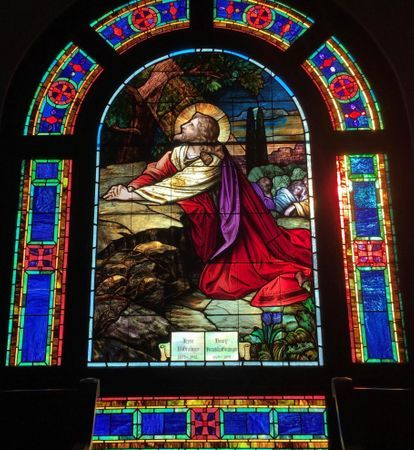 In 2017, Laws Stained Glass Studios installed new protective covering over 14 windows at Queen Street United Methodist Church in Kinston, NC. 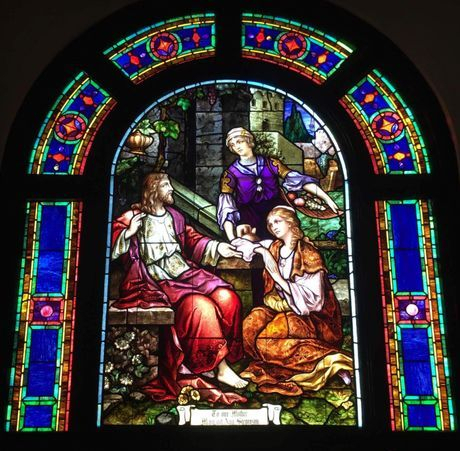 The stained glass windows are about 100 years old, and the majority of them are in good structural shape. The windows had existing protective covering that had helped keep them from deteriorating. 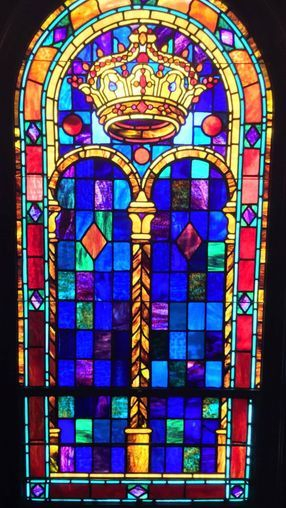 One window (size 105" wide x 94" high) had some extensive bulging, but the glass had not broken. Although it had horizontal braces, it needed more. Laws straightened the window and added one new horizontal brace and 5 interlocking vertical braces to help prevent it from bulging in the future. -Remove the old discolored protective covering. -Scrape off the loose paint from the exterior wood perimeter. -Prime and paint one finish coat of paint using an exterior grade paint. 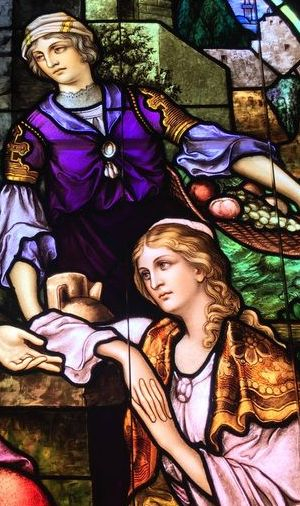 -Clean the leaded, stained glass window on the outside. -Furnish and install a 1" x 1" angle aluminum frame with a snap-on stop to hold the new 1/4" Lucite acrylic in place. -Furnish and install 1" aluminum t-bars to join the pieces of the new 1/4" Lucite acrylic. 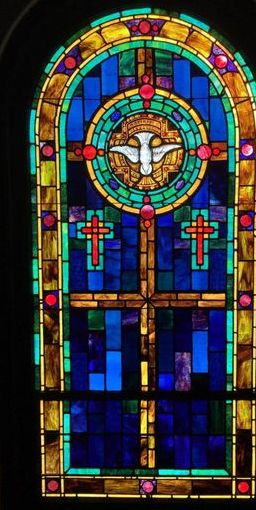 -Furnish and install new 1/4" clear Lucite acrylic protective covering over the outside of the leaded, stained glass windows. -Seal the new 1/4" Lucite acrylic with a clear silicone caulk. Existing discolored protective covering. The middle window has the protective covering removed. Close-up showing how the paint has chipped and fell off of the wood frame. Close-up showing how the window has bulged toward the outside. Close-up showing where the putty has started to peel and fall off. Bulging window repaired with interlocking braces. Previously bulged window that is now straightened and has interlocking braces. Side view of the showing how straight it is with the interlocking braces. Close-up showing the interlocking braces. Window frames that have just been painted. Another close-up at the bottom. View of the back side of the church.